A group health insurance policy is a policy that provides health insurance cover to a group of people belonging to an organisation, community or background. Most of the large corporates buy group health insurance policies for their employees, but these policies can be bought by any group of people. A group health insurance policy is a policy that provides health insurance cover to a group of people belonging to an organisation, community or background. Most of the large corporates buy group health insurance policies for their employees, but these policies can be bought by any group of people. The head of the group or the organisation pays the insurance premium on behalf of all members of the group. A minimum of 10 individuals are needed to buy group health insurance in India. There are many benefits of buying group insurance plans. Since a group presents customers in ‘bulk’ quantity, the insurance companies offer attractive discounts on premiums on such policy. Hence, group health insurance works out cheaper than buying health insurance for a single individual. The group insurance policies also offer wider coverage than individual plans in terms of dependent covered under the plan. Hence, under group insurance, the policy may extend cover to the parents, grandparents, children, partners, etc. Some policies also offer maternity cover under group insurance. Another benefit of group health insurance is the lower waiting period. 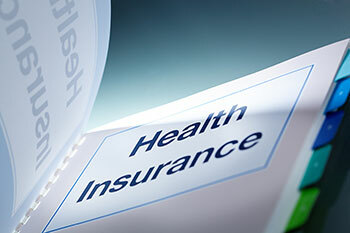 Any health insurance policy does not offer immediate medical cover to the insured after buying the policy, but the insured has to wait for a few months to become eligible for the medical cover. In the case of group insurance, the waiting period is just a few weeks after buying the policy.